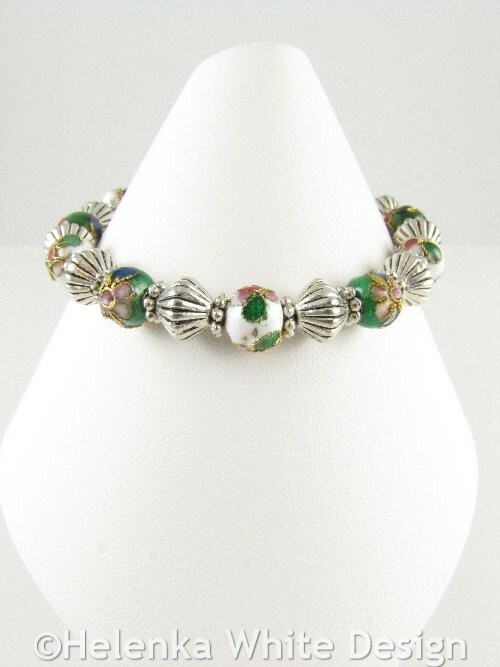 If you love unusual and pretty beads, then this white and green Cloisonne bracelet might be right for you. 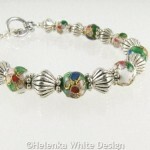 It is handcrafted with white and green Cloisonne beads, Tibetan silver Hogan beads and Daisy spacers. 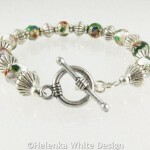 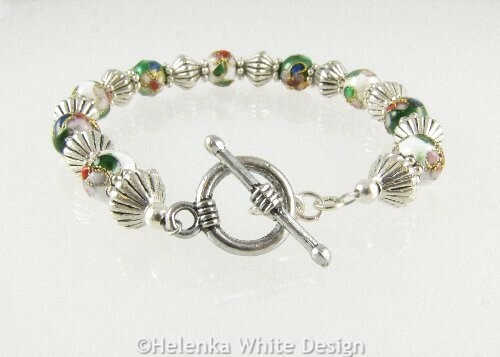 It closes with a simple Tibetan silver toggle clasp. 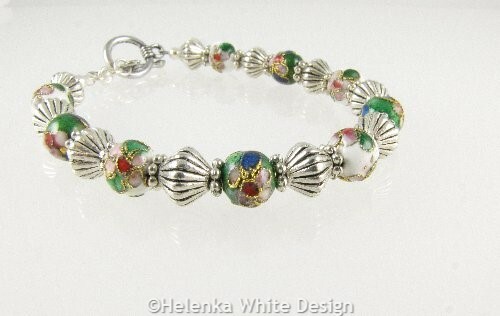 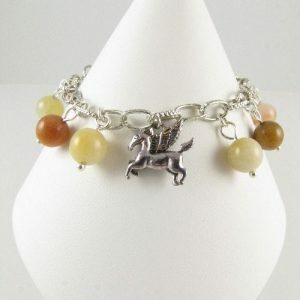 1 bracelet of this kind is available. 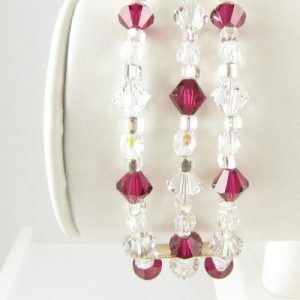 However you can also find it in a slightly different colour combination in the shop. 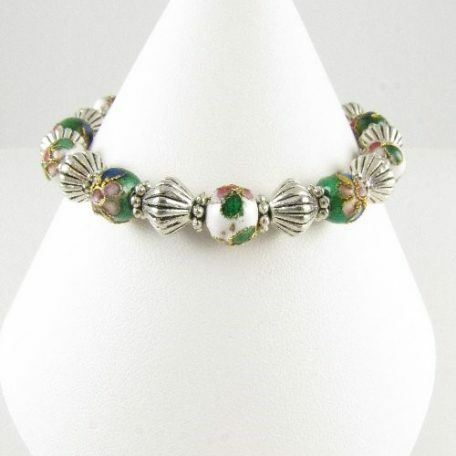 Green turtle bracelet – handcrafted with Cloisonne beads, gold plated Hogan beads and green glass turtle charm beads. 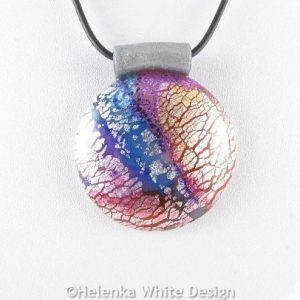 Faux dichroic round pendant in purple, blue and yellow. 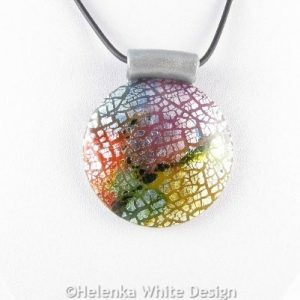 Handcrafted with polymer clay, artificial silver leaf and alcohol inks. 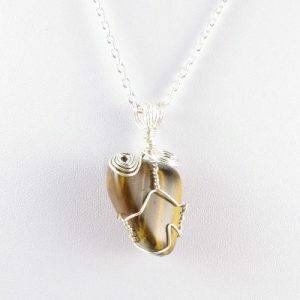 It hangs on a buna cord and closes with a silver plated lobster clasp. 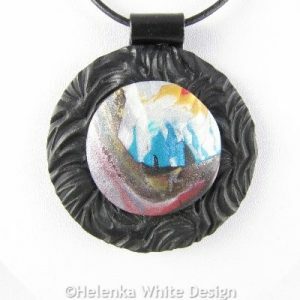 Abstract landscape pendant handcrafted with polymer clay in various colours. 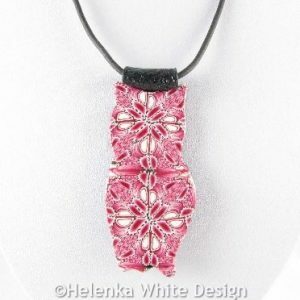 The pendant’s bail is also made with polymer clay and it hangs on a leather cord.